Thu., 3 Oct. - Fri., 11 Oct. Thu., 22 Aug. - Mon., 2 Sep. Tue., 23 Jul. - Thu., 8 Aug. Mon., 26 Aug. - Tue., 10 Sep.
Wed., 17 Jul. - Wed., 14 Aug. Thu., 18 Jul. - Tue., 6 Aug. Situated in Sorvagur, this hotel is 2.3 mi (3.8 km) from Vágar and 5.8 mi (9.3 km) from Sandavagur Church. Nordic House in the Faroe Islands and Torsvollur are also within 32 mi (52 km). 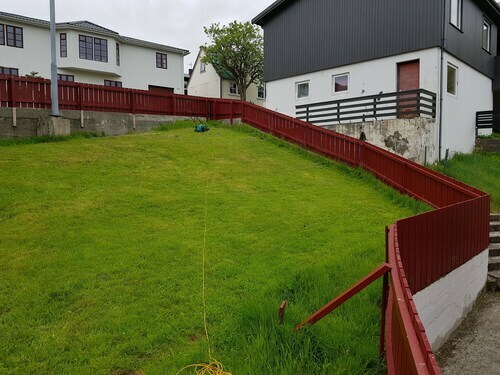 Located in the heart of Miðvágur, this historic vacation home is 1.6 mi (2.5 km) from Sandavagur Church and 4.1 mi (6.6 km) from Vágar. Nordic House in the Faroe Islands and Torsvollur are also within 25 mi (40 km). Situated in Vestmanna, this vacation home is within 25 mi (40 km) of Sandavagur Church, Vágar, and Nordic House in the Faroe Islands. Torsvollur and Torshavn Cathedral are also within 25 mi (40 km). 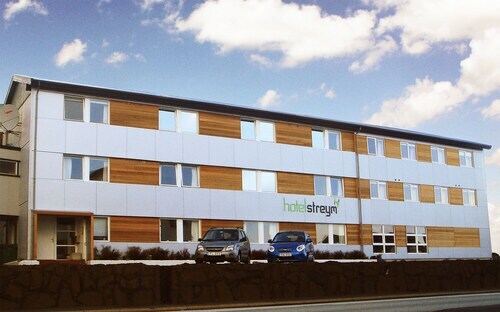 Situated in the suburbs, this hotel is 1.2 mi (2 km) from Nordic House in the Faroe Islands and within 3 mi (5 km) of Torsvollur and Thorshavn Harbour. Torshavn Cathedral and Logthing are also within 3 mi (5 km). 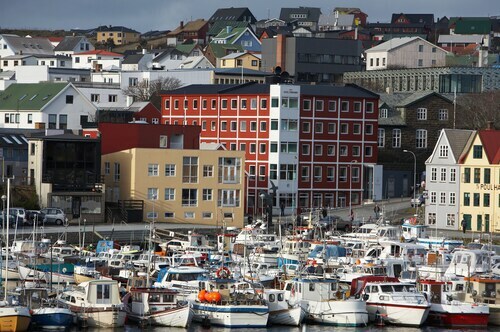 Located in the heart of Torshavn, this hotel is steps from Torshavn Cathedral and Thorshavn Harbour. Logthing and Fort Skansin are also within 10 minutes. Situated by the sea, this guesthouse is in the same region as Torsvollur, Nordic House in the Faroe Islands, and Torshavn Cathedral. 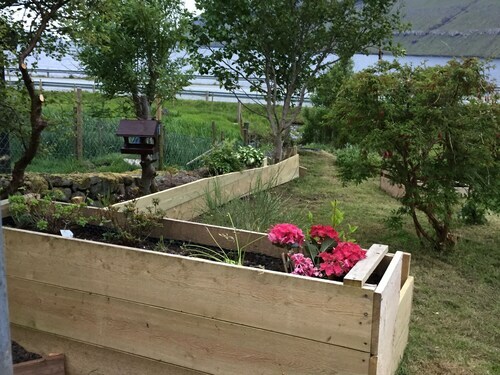 Regional attractions also include Thorshavn Harbour and Logthing. 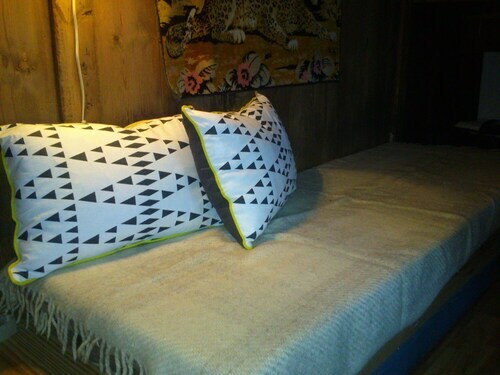 Situated in Kollafjørður, this guesthouse is within 16 mi (25 km) of Torsvollur, Nordic House in the Faroe Islands, and Thorshavn Harbour. Sandavagur Church and Torshavn Cathedral are also within 16 mi (25 km). 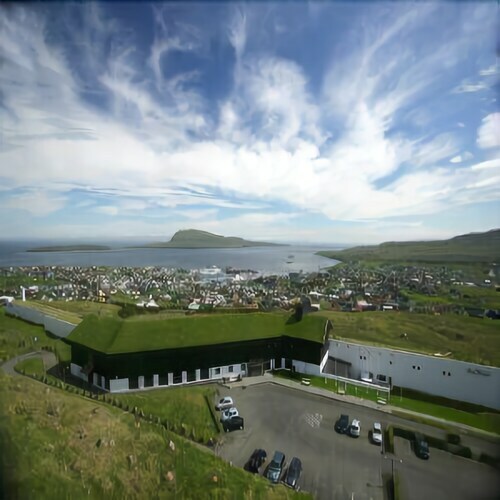 Situated by the ocean, this hotel is within a 10-minute walk of Fort Skansin, Thorshavn Harbour, and Torshavn Cathedral. 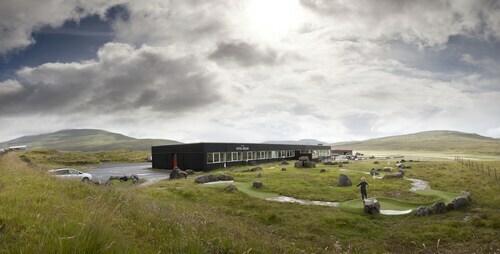 Logthing and Nordic House in the Faroe Islands are also within 1 mi (2 km). Flights from Pearson Intl. to Jinnah Intl.